Thanks to John Twist everyone had wonderful things to say about the ceremony he performed. We are very happy that John was willing to conduct it. You did a ceremony for us on Sept 13, and Kristin and I just wanted to say that you did an amazing job. Loved the laid-back humour – making the best of a chilly situation down by the waterfront. A lot of our guests complemented us on our choice of officiant. Keep it up! John Twist did an incredible job at our ceremony! We really appreciated his warmth, friendliness and humour. A number of our guests commented on how wonderful they thought John was, saying that our ceremony was one of the best they had attended. We couldn't have been happier! John Twist surpassed our expectations. From the very first meeting, he made us feel comfortable and we just 'clicked' with him. John was super friendly. It felt like a long time friend was apart of our special day. He provided u with great advice when it came to making decisions about the flow of our ceremony. John Twist was amazing. Great sense of humour. He knew we wanted it to be casual and fun, and he made it exactly that. We got lots of compliments on our choice of officiant. The sample ceremony that we received from All Seasons was a great starting point for us. We used it as a base and adapted it as desired. 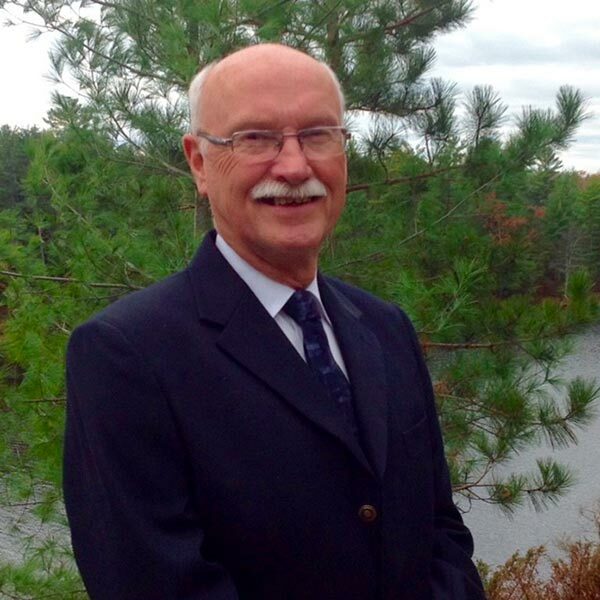 I have already had 2 couples ask for John Twist's contact information because he left such an impression on them. He did a fantastic job on our wedding ceremony, he made our ceremony very personable and relatable, and took the effort to track us down afterwards to congratulate us again. I would recommend him to anyone. John Twist far exceeded our expectations. We looked at all the profiles of each officiant and had a "good feeling" about John. He called us and while we talked he was very patient, genuine and enthusiastic. He didn't make us feel like just another couple getting married. I met with him to go over the ceremony about a month beforehand and he sat down patiently and asked questions and made me think of ceremony layout that I had not thought of before. Lastly, the day of the ceremony. We had decided to to do the ceremony outside in winter hoping for temperatures hovering over 0. Instead we had the coldest day of the year with -30 temperatures. When John came in to meet with us before the ceremony, we asked him to shorten the length and he did it without a blink. Despite the temperature, John warmed the ceremony with his demeanour, humour and enthusiasm. I had numerous people come up to me to ask how I had "found" John Twist. Thank you so much to John Twist and the All Seasons staff for exceeding our expectations and making it a day we will NEVER forget! John Twist was wonderful to work with throughout the process. We felt like he really listened to what we had to say, and did his part in bringing the ceremony to life. Everyone at the wedding was commenting on how great John was. The humour he brought to the proceedings and the lovely things he had to say, really added to the day. He was great. "Thank you so much for the absolutely terrific job you did last night in officiating our wedding. You set the perfect tone and it all went exactly as Christine and I had hoped. And we certainly had wonderful feedback from our guests about how beautiful and intimate the ceremony was and about what a lovely job you did. Many thanks, and enjoy the rest of your summer! With sincere gratitude, Alex & Christine"
Hi John! We hope all is well with you and that you are having a great 2017 so far. We've been looking through pictures and reminiscing about our wedding one year ago today at Trillium and thought of you. 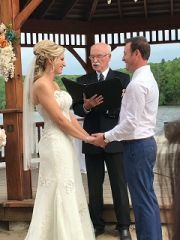 We wanted to thank you again for helping to make our day so special, we can't imagine having anyone else as our officiant that day! "We can't thank you enough for officiating our wedding. You took the time to get to know us, listened to what we wanted our ceremony to be like, and gave us exactly that. 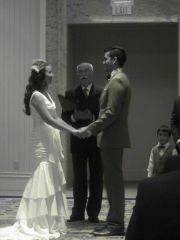 Our ceremony was truly perfect and we have received an enormous amout of compliments on how personal and relaxed it was. ;So thank you for that!" Thank you so much for officiating our special day. You were so professional and great to work with. Our ceremony was exactly what we wanted. Great job!" Shannon and Jake. John (Twist) was amazing! He was so easy to work with and very flexible with being able to meet up to discuss details and answer my many questions. John performed the ceremony perfectly and everyone loved it! We also loved his choice of outfit, it fit in perfectly! Thank you so much for everything!!! John Twist is a very kind soul. He is an absolute natural and made everyone at our tiny ceremony feel at ease. He brings along a gentle sense of humour that everyone enjoyed. Our entire ceremony from top to bottom went without a hitch and we owe it to John. I highly recommend him for any ceremony or service. If I had to do it all over again ... I wouldn't change a thing. Thank you so much John! Thank you so much for attending the day and performing the wedding ceremony. You were easy to work with and gave us creative options for our inquiries. We appreciate your time spent. Thanks again.